Hi All! I hope you all had a fantastic New Year's Eve and New Year's Day - I really can't believe we're now into 2014. Its madness! Now I promise I'll be back with my usual beauty posts soon but I thought it'd be nice to start the year by sharing some of the goals and resolutions I've set myself for the new year. A new year is always a good time to 'start a fresh' as people say and it always provides me with the motivation I need to get things done and set myself some goals for the year ahead. I don't like to set myself unrealistic goals so all of these resolutions are things I know I can do or at least consciously make a good effort to do. My ultimate goal for 2014 is to finally pass my driving test. I originally planned to pass my test when I was 17 but as my birthday is in July, I had a few lessons but not enough to take my test before moving away to uni. I wish I'd carried on with my lessons when I moved away to uni but when you're moving to a new place, meeting new people and have barely any money to spend on anything other than books, food and alcohol, driving wasn't at the top of my priorities. I then started my lessons up again in 2012 but after having trouble with my job and getting really down in the dumps, I moved to Australia to live with my dad for five months and again, driving was ditched. With this being said, 2014 is the year that I must get it done. I don't like the idea of spending a fortune of lessons but I do have some Christmas money to put towards it and its a huge life skill I'm missing so it needs to be a priority. I'd be so proud of myself for passing my test and my boyfriend and I own our own car so he can take me out for lessons too and hopefully help me pass quickly. Watch this space, I'm determined this time around. As much as I enjoy my job in research and marketing, it isn't what I want to do forever and 2014 is the year I really want to try and progress my career and find a job I'm passionate about. That might mean moving away from Newcastle, who knows, but either way - it needs to happen. I'd ideally like to land myself a job in the beauty industry as that's where my passion lies so I best keep my eyes peeled. In 2013 I went through a seriously rough time with my panic attacks and at one point, I hit total rock bottom. I didn't want to leave the house and it was seriously affecting my relationships, social and work life. With this being said, I decided enough was enough and booked myself in to see a counsellor. I wasn't convinced it was going to work at first but it was the best decision I've ever made as I've improved dramatically since talking through my problems and working out ways in which I can deal with them. I'm still not 100% 'cured' and still have my 'wobbly' moments so I'm going to carry on seeing my counsellor until I feel I'm in a place where I can deal with things completely on my own. Fingers crossed 2014 will be that year! Following on from resolution number three, I'd really like 2014 to be the year that I worry less. I may have managed to get my panic attacks under control lately but I still worry excessively about things I shouldn't be worrying about. I want to live in the moment and enjoy the time spent with my loved ones instead of worrying about the future and what might happen. At the end of the day, life is unpredictable and nobody can garuntee what will happen in the future so what's the point in worrying about it? That's what I need to keep telling myself. Eating healthily and cooking fresh food is something that's really important to me as it makes me feel better about myself and if I eat well the majority of the time, I don't feel so guilty when I want to eat dominoes and drink wine. With this being said, I want to continue eating healthily and also get into a good exercise routine. I started exercising a bit more towards the end of 2013 by getting involved in Yoga and Bootcamp classes with work and I absolutely loved it. I always feel so much better about myself after exercising and it helps with my anxiety too so that's a big priority for me this year. Also, after all the over indulging I've done for the past few weeks, I'm actually looking forward to getting back to healthy eating and exercise. Who'd have thought it? Continuing on from the point above, I've decided that this year I want to experiment with more foods and more recipes. As I said above, I absolutely love cooking and using fresh ingredients but I often get stuck in a rut and end up making the same recipes on repeat, week in, week out. Its does get a bit boring eating the same foods all the time so this year I'm determined to learn some new recipes. I bought my boyfriend the Gino D'campo cook book for Christmas as he loves cooking too and his mum and dad bought me Mary Berry's so we really have no excuse not to make some yummy new food! I can't wait to start experimenting! I couldn't write this post without including at least one blogging resolution but if I'm honest, there's nothing specific I'm aiming for with my blog. Of course I want to keep improving my content, my photography and hopefully grow my readership even further but I think everyone wants those things from their blog. I've decided I'm not going to set myself any specific goals as I think that will only lead to disappointment if I don't meet them. Instead I'm going to write about things I want to write about, continue to be passionate about it, continue to get to know fellow bloggers and generally just enjoy it. As long as that continues, I'm happy. So there's a few of my goals and resolutions for 2014. I hope you enjoyed reading them and I'd love to read yours too so if you've done a post similar to this, leave your links below. Here's to the new year - let's hope its a good one! I also posted my New Year's resolutions last night and some of ours are quite similar - especially about anxiety! And you're so right about exercise, I didn't include that as I thought it was abit boring but it really does help to burn off that unwanted nervous energy. Good luck with all of your resolutions, fingers crossed for a successful 2014! Here's the link to my post if you'd like to take a look: Goodbye 2013, hello 2014! Ah I love this post and love how honest you are! There's nothing worse that setting yourself unrealistic goals because like you say, you will just be disappointed if they aren't met! 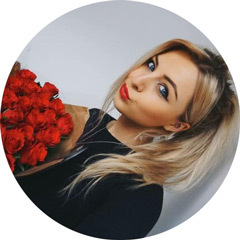 Love your blog Kayleigh! I wish you all the best for 2014! Happy New Year and I hope you accomplish ll your goals for 2014. I hope this is the year I worry less too! I love how your blog raises more awareness ofr anxiety, more people need to hear about it! Keep smiling hun! Happy New Year! Happy new year, best of luck with your resolutions! Great post, I loved reading it. Good luck! These are great goals to have. My resolution is to try and worry less as well. I think just girls in general worry. Great goals. Happy New Year! Great list, I also need to work on getting my full drivers license. I need to sign up for drivers class so I can move on to the first road I need to pass. Good luck with all your goals that you have for 2014! Happy new year lovely! Great resolutions - it's amazing the progress you've made with your anxiety, I hope it improves even more for you this year. I'm determined to pass my driving test this year too - we can do it! I would love to see you blog about the recipes you try out this year. Good luck! Happy New Year, I hope you achieve your 2014 goals. Mine including learning to be happy, loosing some weight and figuring out what I want to do with my life! Lets hope I can achieve them. My resolutions are here: Hello 2014! 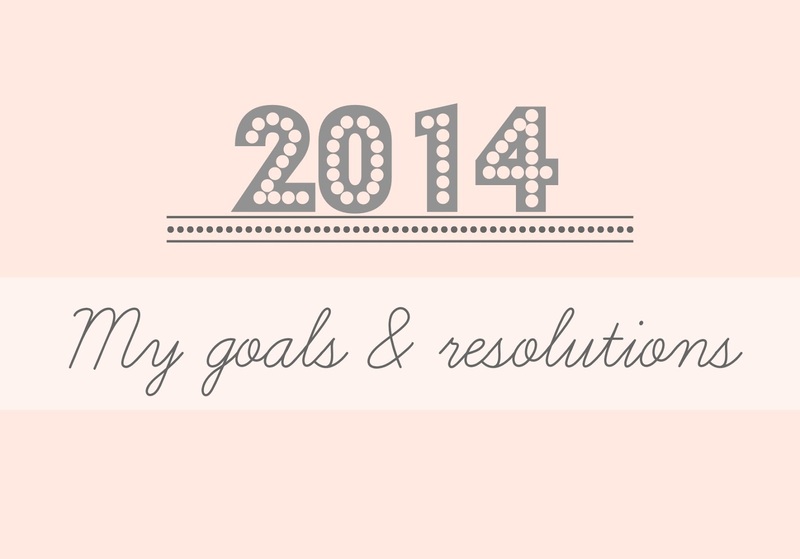 Such a lovely positive post - I was thinking of setting myself some blogging resolutions!! Some amazing goals lovely. I have no doubt you will achieve them all! You have already accomplished so much in 2013 and overcome so much already! I am so glad to have been able to talk to you in 2013. Awesome goals! Remember to drink lots of water. It'll make your skin look amazing, and you'll feel better! Amazing goals - I really like that you seem so determined! Good for you, keep it up and good luck with the driving!